Chapter 8 of Musique Fantastique Book 1 covers the splendid science fiction scoring of Universal Films staffer Irving Gertz (1915-2008). Just recently, writer John Mansell discovered what had been a long-lost cassette tape of an unpublished interview he did with Mr. Gertz back in 2001. Mansell recently transcribed the interview and posted it on his blog. With his permission, I’m including segments from the interview that illuminate Gertz’s work for Universal horror films as a supplement to my coverage in Chapter 8. 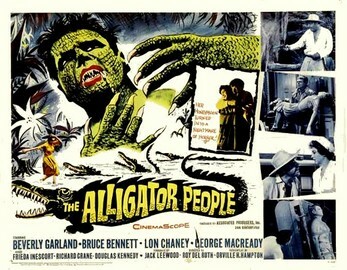 JM: Where did the idea come from to utilize the electric violin in the score for THE ALLIGATOR PEOPLE? Irving Gertz: I had first used the electric violin in THE DEADLY MANTIS which was a movie produced by Universal Pictures. I thought that the instrument’s range and versatility was wonderful and the sound created was so distinctive, especially when in the hands of a seasoned and talented performer. The [sound] that we got from the instrument was perfect and was what I had wanted for both of the pictures. JM How long did it take you to score THE ALLIGATOR PEOPLE? Irving Gertz: It took me one week to compose and orchestrate. I work quickly! The orchestra I used consisted of around 36 musicians, which was quite large for a film of this type. This was normally how much time I was allotted per film. JM: When scoring a picture, how early on in the proceedings do you like to become involved? Irving Gertz: I always prefer to see the movie, not interested in the script, etc. I like to score what I see on the screen. JM: THE MONOLITH MONSTERS and IT CAME FROM OUTER SPACE were movies that you were involved with. Were these all original scores with music by yourself, or did the studio utilize other composers’ music from the library, which I understand was the practice during this period? 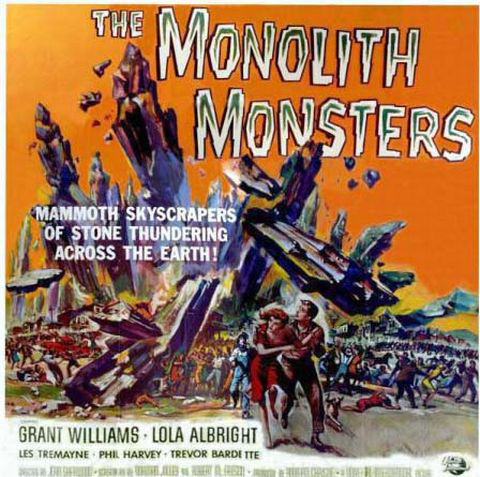 Irving Gertz: MONOLITH MONSTERS was a picture I worked on and wrote original music for, but as you say there was some music tracked onto the picture from the library of music the studio had put together – composers such as Henry Mancini, Herman Stein, William Lava etc. This music had appeared within other movies. But with IT CAME FROM OUTER SPACE, that was a completely original score, all original music, and we [Gertz and other staff composers] established cinematic items or little musical clips that we could latch onto to identify certain characters in the movie. JM: Have you a score of your own that you look upon with particular affection? 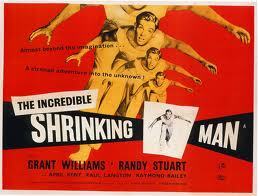 Irving Gertz: Yes I do, THE INCREDIBLE SHRINKING MAN. It was just a pleasure to work on.